Bronx Museum of the Arts: Baseball in the Bronx: Nine Innings of Bronx Baseball (Friday through Tuesday, and Thursday) Baseball fans will have two opening days to celebrate on Friday that of the first pitch of the season at Yankee Stadium and the start of this exhibition, devoted to the history of the sport in the Bronx. The show, which will be up through May 13, includes photographs of amateur and professional players over the years as well as memorabilia of former players and others. A public opening-day reception is planned for Friday at 5 p.m. A number of talks and book signings are also scheduled in conjunction with the exhibition, many of them taking place next week. Among them are appearances by Arlene Howard, widow of the ballplayer Elston Howard, and Ralph Wimbish, co-authors of Elston and Me: The Story of the First Black Yankee (Sunday at 3 p.m.); Kostya Kennedy, the sportswriter and author of 56: Joe DiMaggio and the Last Magic Number in Sports (Monday at 3 p.m.); and George Vecsey, contributing sports columnist for The New York Times and author of Stan Musial: An American Life (Tuesday at 3 p.m.). All are free, as is admission to the museum. Viewing hours for the exhibition are Thursdays, Saturdays and Sundays, 11 a.m. To 6 p.m., and Fridays, 11 a.m. To 8 p.m. And during discussions and special events; 1040 Grand Concourse, at 165th Street, Morrisania, the Bronx, (718) 681-6000, bronxmuseum.org. Morris-Jumel Mansion: Sugar Hill Talk and Swing Dance Lesson (Sunday) The author Terry Baker Mulligan, who grew up in the Sugar Hill section of Harlem and wrote about her childhood in the memoir Sugar Hill, Where the Sun Rose Over Harlem, will discuss her early years in the neighborhood. The talk, which begins at 1 p.m., will be followed by a dance lesson and social led by the Harlem Swing Dance Society; free, but registration is required at (212) 923-8008. 65 Jumel Terrace, at Sylvan Terrace, Washington Heights, morrisjumel.org. Schomburg Center for Research in Black Culture: Alexander McCall Smith(Sunday) Mr. Smith, author of the books in The No. 1 Ladies Detective Agency series (and who was born in what was then Rhodesia), will discuss his writing at 7 p.m. Schomburg Center for Research in Black Culture, 515 Lenox Avenue, at 135th Street, Harlem, (212) 491-2020; schomburgcenter.com; $15, or $10 for members. 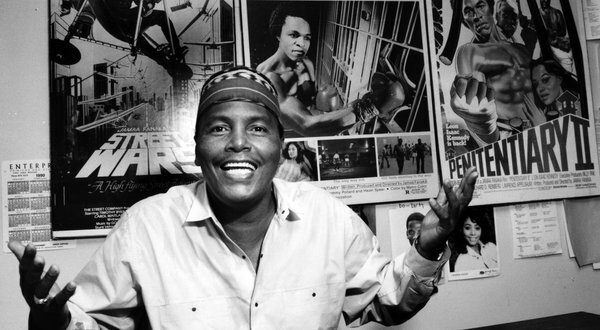 Jamaa Fanaka, a filmmaker who had considerable success in 1979 with Penitentiary, the first movie he made after graduating from film school, but who claimed to have been blacklisted afterward for raising questions about the dearth of jobs for black directors in Hollywood, died on April 1 in Los Angeles. He was 69. The cause was complications of diabetes, his family said. There’s a frenzy surrounding the blockbuster film and bookA The Hunger Games . But the fan attention around the movie has taken a decidedly different turn from the fervor the book caused. The nearly 102-year-old Howard officially lifts its curtain once again Thursday for a reopening gala after a $29 million renovation that began in 2010. Beyonce has lauded First Lady Michelle Obama as the ultimate African American role model for her young daughter in a touching hand-written letter. Movies aimed at African American moviegoers are typically the province of bigger-budget comedies and dramas – the kinds of stories told by Tyler Perry or produced by Screen Gems.